Owning a Super Duty truck means you’re looking to have one the strongest, most powerful vehicles on the road. 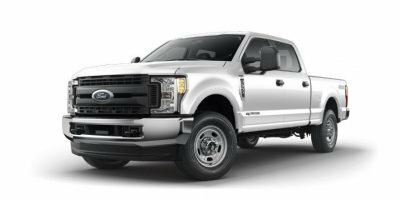 Our experts review the top five ways to configure your SuperDuty truck to provide the ultimate experience and get the most out it. BLIS is a godsend to any SuperDuty truck owner, especially if you’re pulling a trailer. The larger the vehicle, the more carefully we must maneuver on the road. Thankfully, operating a Super Duty is easier with BLIS on your side. This system has seven cameras and sensors making it easy to keep an eye on everything around you, which is particularly useful when pulling a trailer. Many drivers go through rough terrain, which can destroy the underbelly of their vehicles. Installing skid plates, mud flaps, rear wheel drive, and a heavy front suspension package can help ensure your truck withstands journeying outdoors. While most Super Duty trucks have enough legroom for the driver and a passenger, if you have a crew that needs to pile in during work, the extra 6 inches in the SuperCab XL may be what you need. Some drivers work out of their trucks and use them as mobile workstations. At times, there may need to plug in their power tools. The 110 volt AC outlet makes a great addition to any vehicle. Installing a power equipment package to your truck makes life a whole lot simpler. You’ll have power windows, locks, and much more that makes riding in your truck a breeze. Ensure you’re upgrading your Super Duty truck to include these five top configurations for optimal performance. 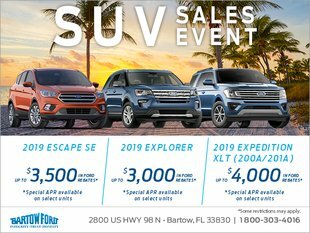 Not all car dealers in Lakeland, Florida area have the vast inventory that Bartow Ford does. We have fully featured vehicles in stock and can help upgrade your current vehicle in our state of the art servicing center. Bartow Ford has been servicing car dealers in Lakeland, Florida for more than 60 years. We’re conveniently located on 2800 US HWY 98 North and are open Monday through Saturday. We'd love the opportunity to prove to you we're different from our competitors. Don't go the wrong way; let us be your dealership of choice to service your vehicle or perhaps purchase a new one! Have additional questions? Give us a call at 1-800-303-4016 or contact us by sending us a message online.